JERUSALEM, Israel (BulgarianMilitary.com) – Precise air drops are in very high priority for the Israeli defence forces (IDF), learned BulgarianMilitary.com. In recent months, the IAF’s flight test squadron has tested a new system that makes the airdrop easier and archives great precision. The system was purchased in 2015 but a first series of tests resulted in insufficient results. The operational needs, especially of the Israeli defense forces (IDF) Depth Command, brought the IAF to reevaluate the system in a different operational mode. This time, according to a report in the IAF website, the results were “perfect”. The tests were performed by the C-130 J’ (Shimshon). A team that includes a load master, a test engineer and experts from the IAF’s Technological & Logistical Directorate and service members from the Airborne Supply Unit performed the drop tests. The system gets data from ground crews that are getting ready to receive the cargo in the safest way, in the combat zone. The test series included several nine-hour-long flights, as part of which a total of 18 airdrops were performed. “In the first flight, we performed the autonomic airdrop from a high altitude and saw that the parachute opened and that the system directed the equipment successfully. It was amazing to see the system bringing the cargo to the exact pre designed point on the ground”, Maj. (Res’) A’. that supervised the tests told the IAF website. 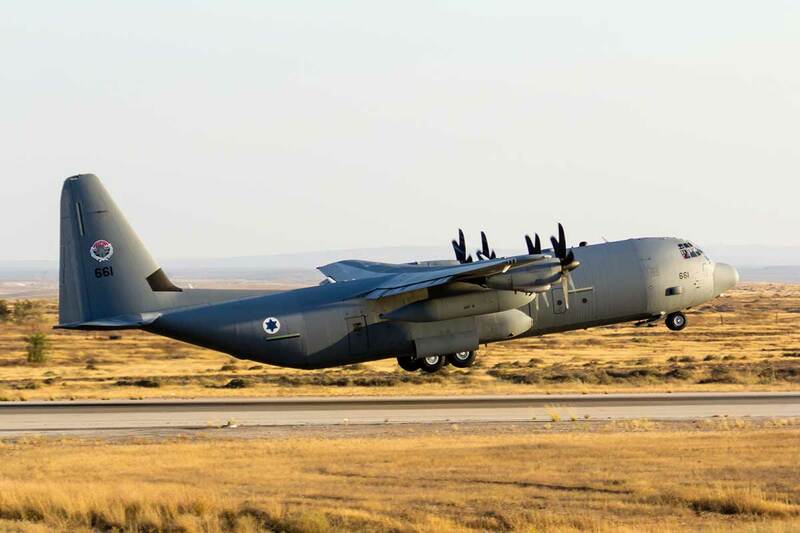 The officer added that the system allows the IAF to airdrop equipment from high altitudes with the equipment directing itself to its destination. “This is a significant improvement for us. The squadron will receive a huge operational advantage and include drastic changes in training, instruction and operational activity. We will prepare heavily for the system’s integration and our operational capabilities are due to improve” the officer said.